Is This Lamborghini's First Hybrid Supercar? We'll have our answer on Monday. 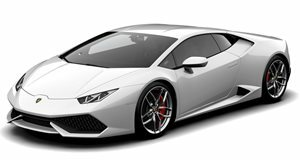 Only last week did we report that Lamborghini is planning to bring hybridization to its Huracan successor, due in 2022. This won’t be a pure electric, of course, as the V10 will continue, only with a hybrid system attached. The V12, rumor has it, will remain naturally aspirated, or will it? Fortunately, we will have our first glimpse at the next-gen Lambo this week. Specifically, it’ll be happening on Monday at the Massachusetts Institute of Technology (MIT). Lamborghini has just teased a concept that, more than likely, sports advanced hybrid tech, on its Instagram account. Chances are this concept will not only preview the new technology but also the overall design direction of the next-gen supercar under the guidance of newly installed design boss Mitja Borkert. But why has MIT been chosen for this event? Because Lamborghini claims it joined forces with MIT to bring the car’s technology to life. No other details have been made available yet, save for the teaser. Speaking of which, despite the dark shadows, the front end of the car looks very Lamborghini-ish with those aggressive LEDs running through the bumper and alongside the headlights. What we’re wondering is whether this new concept could in fact preview the Aventador replacement, and no the next Huracan? After all, that Aventador successor is due in 2020, two years before its new smaller sibling. 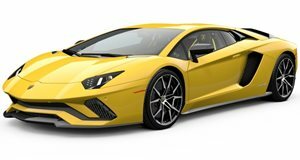 Will the 2020 V12 Lambo begin the transition to hybrid technology? Will Lamborghini’s updated styling language continue to be wonderfully bonkers? We’re as anxious as everyone else to find out. Stay tuned.